Russia’s first proceedings involving Internet pirates lasted nearly five years and ended with a light sentence on Tuesday, Oct. 15, setting a precedent for Russian courts. The married couple—Andrei and Nadezhda Lopukhov—received a four-year suspended sentence from the Moscow court, which had convicted them of illegal distribution of torrent files and inflicting damage upon major film studios in the amount of $23 million. The prosecutors sought a three-year sentence for the defendants in standard penitentiary, but the court took into account the couple’s small children—one of whom Nadezhda birthed while under investigation—and a lack of other convictions. 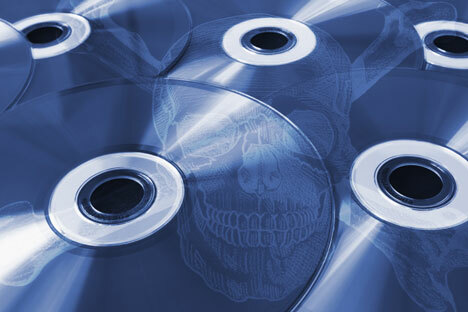 Russia’s anti-piracy law was enacted on Aug. 1. Legal innovations allow rights-owners to block Internet sites by IP address for illegal posting of films and links thereto in out-of-court procedure. The Lopukhovs rejected the charges, citing in their defense the fact that using torrents is commonplace for millions of Russians. Yet it is still too early to close the book on the first anti-piracy case: As was reported to RBTH by Sarksis Darbinyan, lawyer for the unregistered Pirate Party of Russia who defended the Lopukhovs’ interests in the process, the organization intends to file an appeal and bring the case to the Supreme Court, believing the sentence to be dangerous for future law enforcement practice. Among those suffering from their actions were Hollywood’s major studios—20th Century Fox, Paramount, Disney, Sony, Universal and Warner Bros.—as well as Russia-based Central Partnership, Paradise and several others. Andrei was the administrator of interfilm.ru, which broke onto the list of top 20 pirate video sites on the Russian Internet and was blocked in May 2009; his wife administrated the site puzkarapuz.ru, where cartoons and children’s content were posted for residents of Russia and Ukraine and blocked in October 2010. On the Internet, the spouses went by the pseudonyms Shturman and Nadezhda. The Lopukhovs purchased bootlegged copies of movies from residents of countries where movies were released earlier than in Russia, dubbed the movies into Russian, and sold them, channeling the corresponding revenues through online payment systems. According to the experts of bbcrussian.com, the couple engaged in source-piracy: Other pirates copied the films they released and distributed them around the world, layering sound onto their picture. Yet the couple argued that they received money from users not for the actual film downloads, but for the posted advertisement banners, boosting the user’s rating or increasing speed during the file download. Later, according to Pirate Party of Russia lawyer Sarksis Darbinyan, the sum was lowered to 750 million rubles. According to Zemchenkov, because this was Russia’s first case with a pirate site, it was difficult to calculate the exact amount of damages. “The companies provided decent amounts for one film. Because there were multiple pictures, the investigator automatically multiplied their number by this amount,” he said. His organization, created 15 years ago to battle movie piracy in Russia with the support of American corporations, collaborated with prosecutors throughout the examination of the first Internet-piracy case, which lasted over four years. Specifically, an entire year was spent on documenting which films were posted on the resource. The Russian Anti-Piracy Organization director also said that five cases against presumed Internet pirates would soon be handed to the courts; following these first legal proceedings, the courts have received an instruction manual on the matter. The Pirate Party of Russia, however, expressed concern in an interview with RBTH that the sentence may place any user posting torrent files on the web beyond the law. “The two main flaws of this ruling are that it equates torrent files and links to copyright-protected objects [essentially, movies] and allows the owners of the copyright-protected objects themselves to establish the amount of damage,” said Darbinyan. He intends to file an appeal against the ruling in the next 10 days.